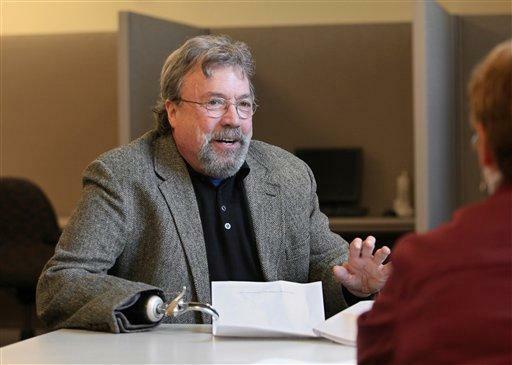 AUGUSTA, Maine (AP) - A one-armed horseman is asking Maine lawmakers to allow amputees like him to carry switchblade knives, which are otherwise illegal. Paul Dumas Jr. of the Maine town of Mexico says that with only one arm - he lost the other to an electrical accident as a teenager - he can't react quickly enough in emergency situations like at an equestrian event he attended a few years ago. "This is very selfish," said Dumas, also an attorney, who currently is forced to use folding knives. "I'm tired of opening knives with my teeth." Like federal law, Maine statutes prohibit possession and distribution of spring-loaded blades. The federal law does allow an exemption for possession and transportation on federal property by a person with one arm, provided the blade itself is less than 3 inches long, said Donald Clark, an assistant U.S. attorney in Maine. State Rep. Sheryl Briggs of Mexico, at Dumas' request, is asking for Maine to build a similar exemption into its law that would apply all over the state, not just on public property. The bill is awaiting a public hearing. The proposal is rare, if not unique. Neither Clark nor Briggs was aware of any other states that have or are seeking such exemptions. An official with an organization that represents 2 million people with limb loss agreed. "We have never heard of or been part of anything like that," said Dan Ignescewski, government relations coordinator for the Amputee Coalition of America. Dumas, who uses a letter opener to tear into envelopes at work, lost his right arm when he suffered an electrical burn as a teenager. The owner of four horses, he likes to carry a knife when riding - just in case - but refuses to use a non-folding sheath knife because it would pose a danger if he fell. So he ends up bringing a folding knife. "I would not go on a trail ride without a knife," he said. Dumas recalled that a few years ago at a horseback skills event, a horse got tangled in rope and fell to the ground. Someone called out, asking whether anyone had a knife to free the struggling animal. "I did have a folding knife that I carried on my belt," Dumas said. "If I had been closer, I would have been the one with a knife." Briggs and Dumas met Tuesday with a state police official to refine the bill and make sure it allows what's intended. "If they wanted me to register the knife with the chief of police in my town, I wouldn't have a problem with that," Dumas said. "We're not trying to hide anything - just trying to get Maine in line with federal law."